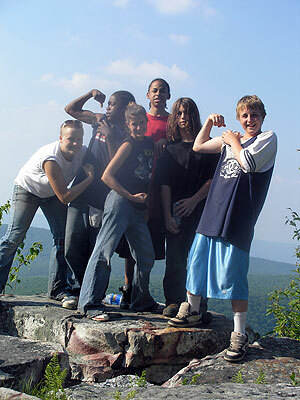 The mission of the leadership programs at Scottie’s Place is to provide the structure and nurturance that enable at-risk children to stay in school, study a challenging curriculum, graduate, secure meaningful employment or go to college, and develop the qualities needed to succeed later on as parents and productive citizens. Adventure and Academics: A summer day camp of tutoring, mentoring, outdoor adventure and wilderness challenge for at-risk children. Mornings are devoted to academic work and afternoons to team building, pioneer skills and outdoor excursions. One day each week is reserved entirely for wilderness adventure: off-trail exploration, mountain biking and backpacking, canoe trips. Service projects in the local community such as river clean-ups and food drives are an integral part of the summer curriculum. Adventure and Academics also provides a residential camp experience for children from regional homeless shelters. These children join the day camp children for week-long programs of overnight camping, academic enrichment and wilderness adventure. After-School Leadership Program: An after-school program designed to improve children’s academic performance and enhance their social skills and life skills. The program provides individualized education, mentoring and outdoor adventure four afternoons each week for at-risk children, ages 6-16. In addition to homework assistance and tutoring, children in theAfter-School Leadership Program engage in meaningful activities such as building projects, hiking and camping, cooking, arts and crafts, and service learning projects. At Scottie’s Place, a home cooked meal is served family-style each night. Arts Program for Teen Girls: A therapeutic program designed to help at-risk teen girls resolve conflicts and problems, develop interpersonal skills, increase self-esteem and achieve insight through artistic self-expression. Girls are able to explore and strengthen their creative natures by making masks, mosaics, jewelry and journals in a safe and supportive environment. Scottie’s Place Leadership Academy: Alternative education that provides full-time individualized instruction to at-risk elementary and middle school children, brings them back to grade level and equips them with the academic ability and social skills necessary to succeed in the mainstream classroom. The curriculum provides instruction in six subject areas along with an emphasis on the experiential components of each discipline – how to grow and gather food, design and build simple structures, treat a sick animal, chart a course through the wilderness. Children succeed individually and as a team as they develop a school culture of acceptance and achievement. 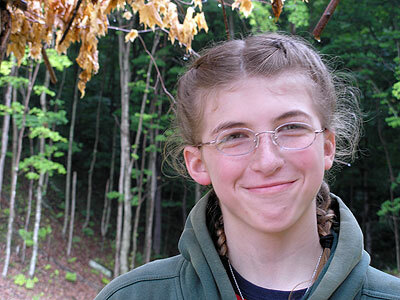 adventure and service-based activities to raise self-esteem and build confidence. Within the therapeutic environment of Scottie’s Place, children who struggle in school discover academic success and newfound excitement in learning.